What is Timelines and who is it for? 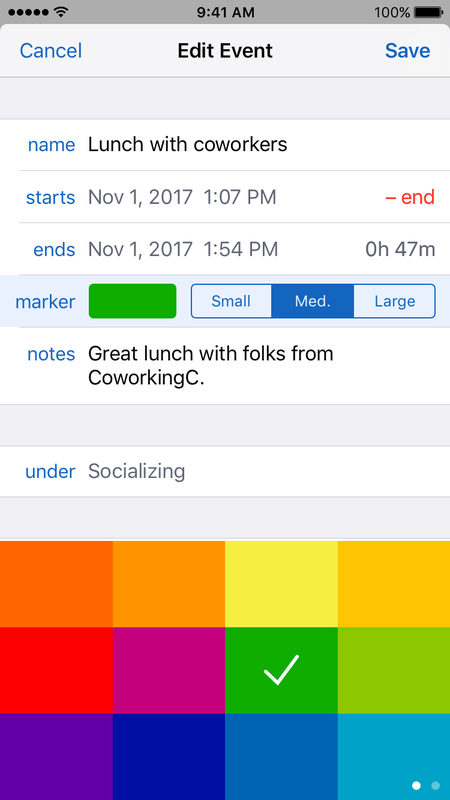 Timelines is a personal time tracking app which focuses on presenting the tracked data in a meaningful and easily accessible way. 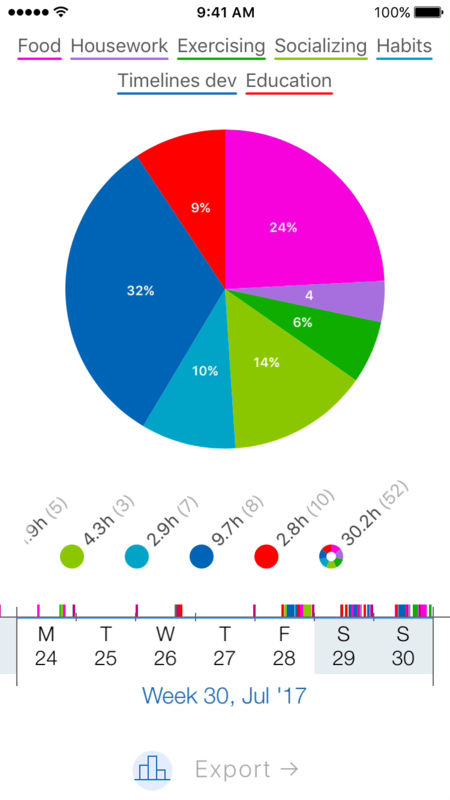 Users can track various user-defined categories throughout the day and then see those time blocks visualized on a fully interactive timeline. They can also explore interactive reporting and easily drill down to more details — giving them clear picture of where exactly their time is going. Timelines is for people who recognize the preciousness of time and who strive to make the best use of it. It’s used by people from various fields, such as architects, independent business owners, freelancers or students. They all have one thing in common: the desire to cut back on procrastination, increase productivity, improve work-life balance and ultimately be more fulfilled in their lives. It's available for iPhone and Apple Watch for $7.99 (one-time payment). Fully interactive timeline — scroll from past to the present and future, and scale from hours to days, weeks and beyond. Big focus on ease of entry (1-tap tracking, today widget) and reliability. Interactive Statistics — get to reports with just one tap, and then effortlessly change interval by swiping and pinching on the timeline. Built by a passionate indie with 8 years of iOS development experience, and largely influenced by the feedback from users. Featured on the App Store: blog post here. Hunted on Product Hunt here. 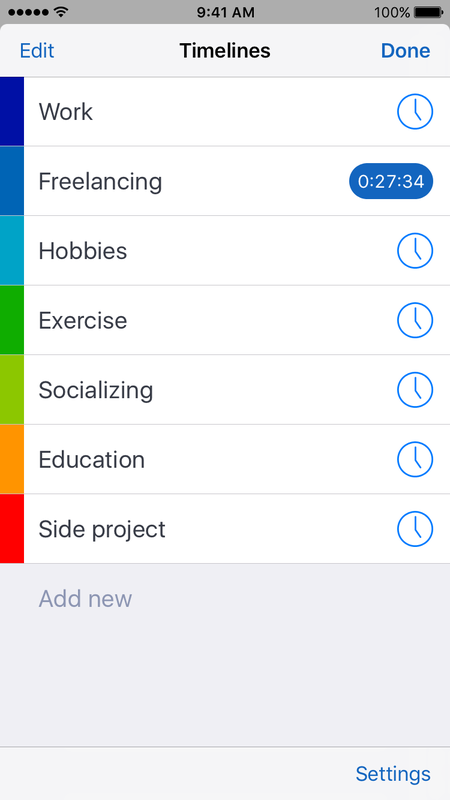 You can add a timeline for each project or area in your life that you want to measure. 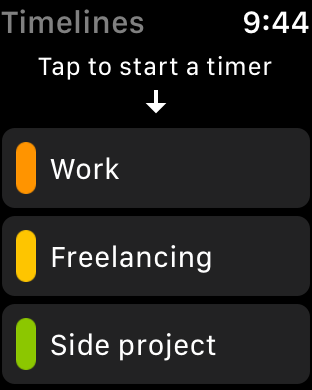 Then, you can conveniently start and stop timers using either the Timelines iPhone app, the Notification Center widget or the Apple Watch app. At the core of Timelines, you have this beautiful, fluidly interactive timeline where you can pan and pinch to navigate. Tracked events get overlaid on top of it using colored markers. You can quickly select which timelines you want to view—to either focus on how you’re doing in one particular area, or to see all of them and get the full picture. 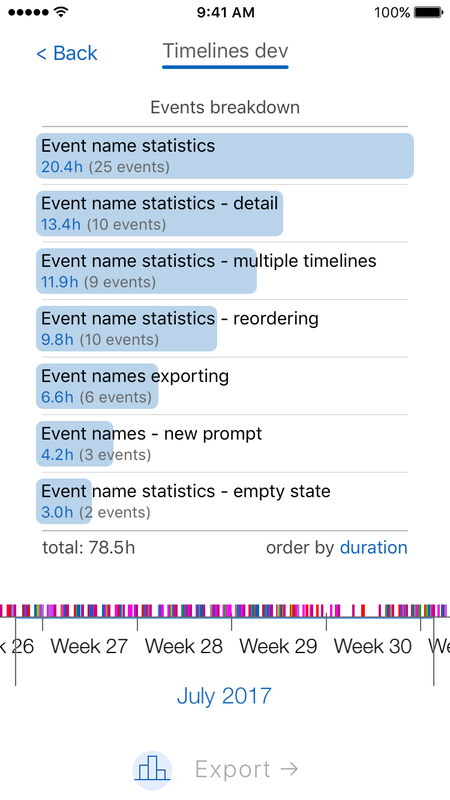 Each tracked event in Timelines can have an optional name and notes, which is useful for people who want to capture more detail. It’s also easy to edit both start and end times, in case you started (or stopped) a timer too late. 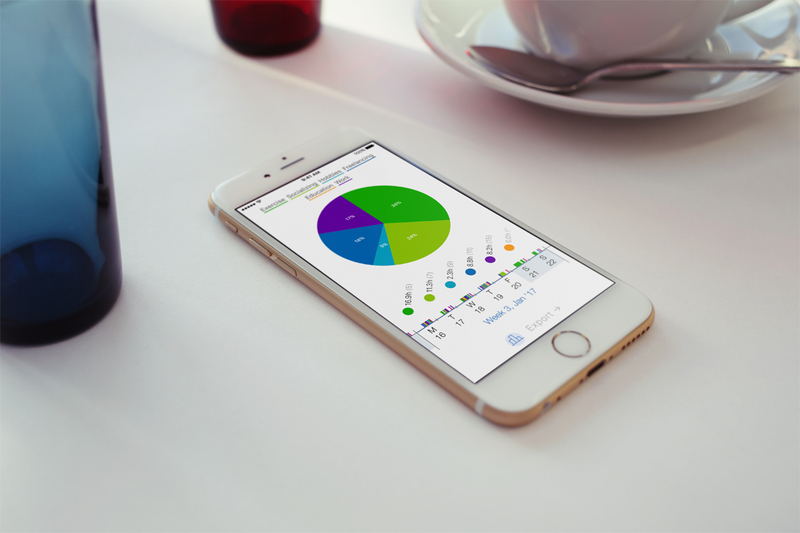 With just one tap of a button, you can get to an interactive reporting state, with a pie chart and time summary of each of your projects for the visible interval. Instead of using some drop downs and specifying which day, week or month you want to see, you can just swipe and pinch on the timeline to get there. Tracked data can be easily exported to PDF and CSV files. Using a custom export dialog, it takes just two taps to get from given statistics to the detailed export. 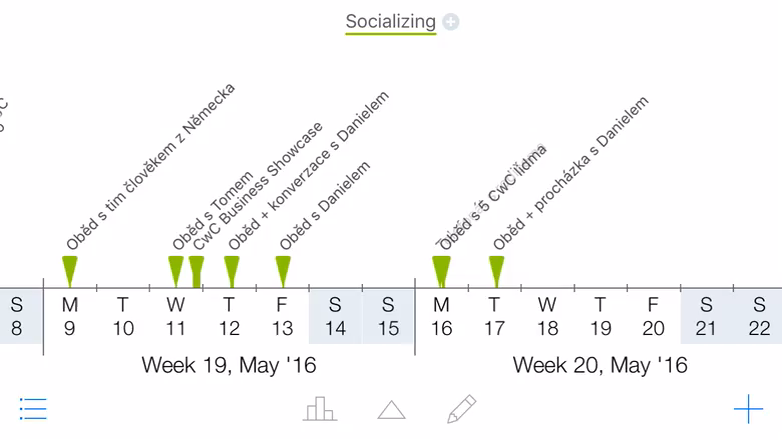 You can optionally assign names to individual events, and then see a breakdown of them in a separate bar chart. 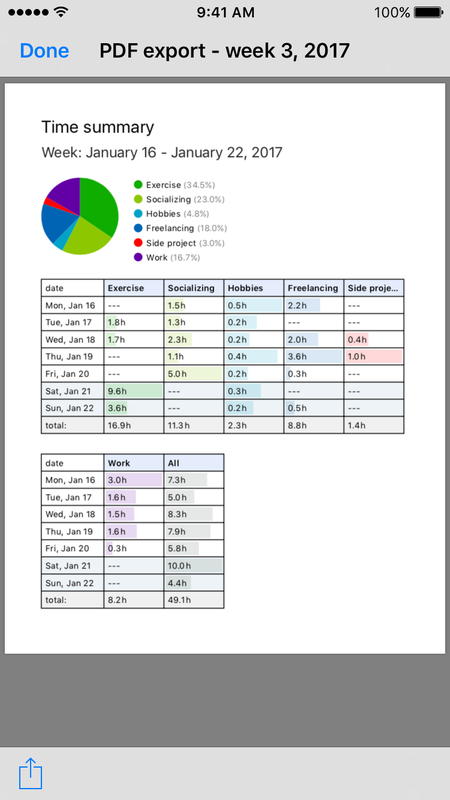 This is handy for really drilling down on what tasks exactly take up the most time. 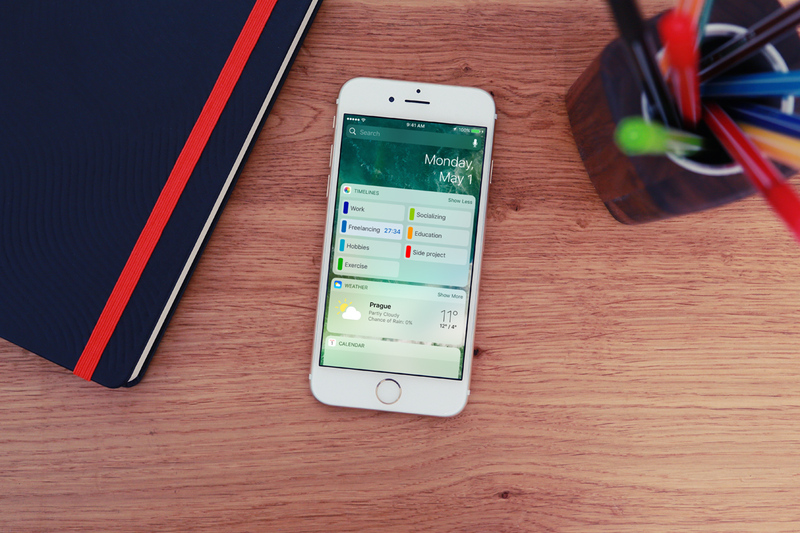 With Timelines’ compact widget, it takes less than 2 seconds to start or stop a timer from the lock screen of your iPhone. 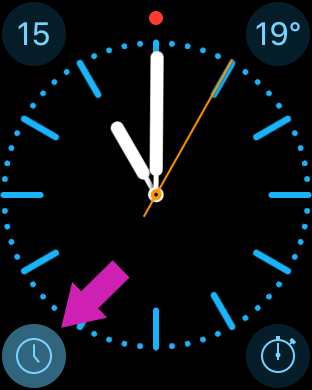 You can also long-touch on a timer to edit it or set the event's title. 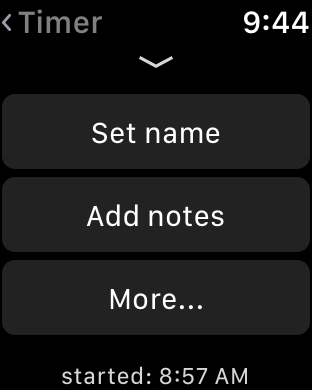 With Timelines for Apple Watch, you can control timers directly on your wrist without reaching for your phone. 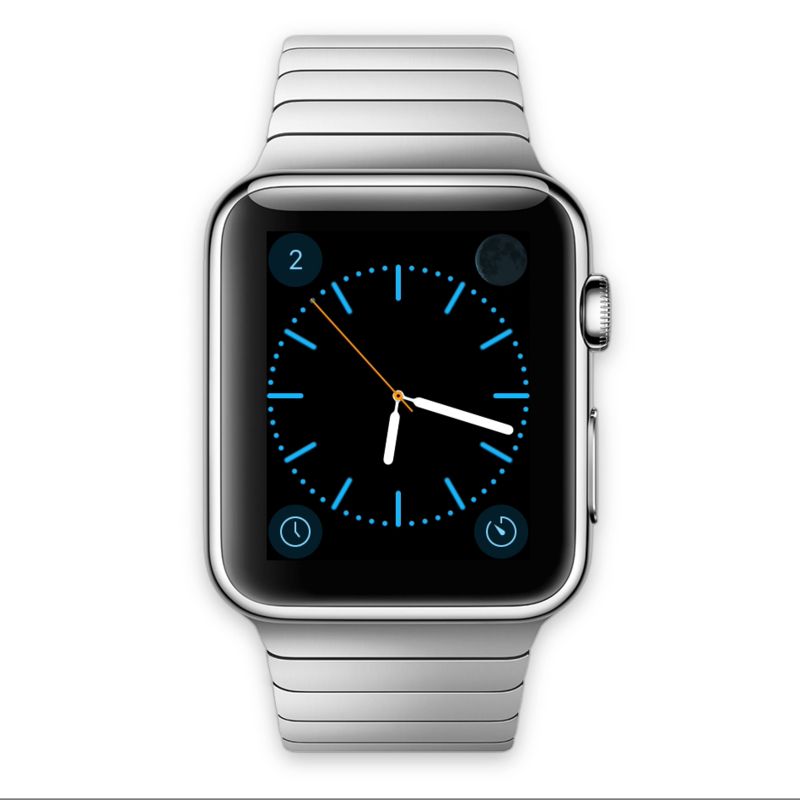 Thanks to custom complications, you can see the running timer and access the app right from your watch face. During tracking, you can set a name of the event using dictation, or correct times with the digital crown. 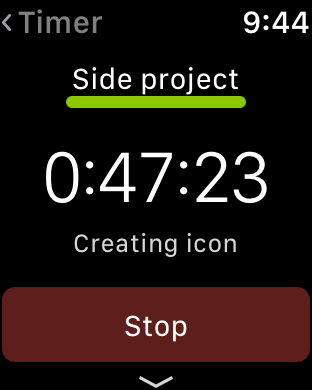 And because tracked time is sent to the iPhone app after tracking finishes, the watch app works even when your phone is out of reach. 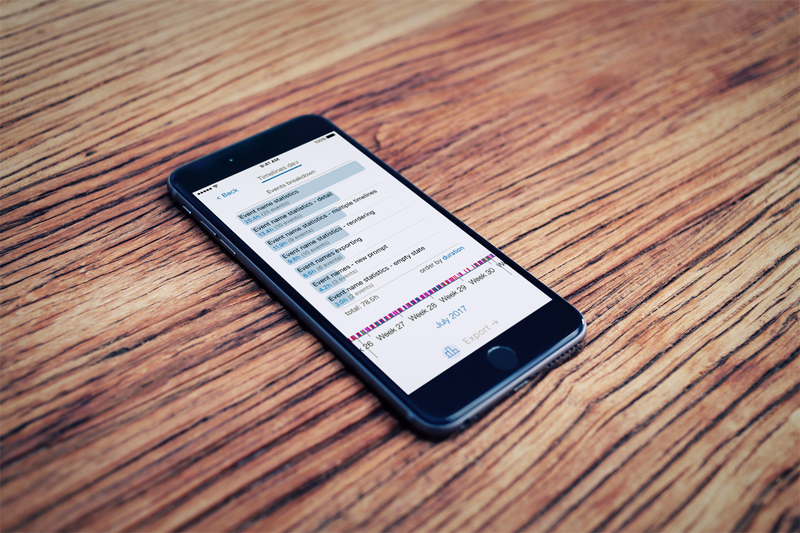 Timelines was envisioned and developed by Lukas Petr, a passionate independent app developer from Czech Republic. Previously, he built Routie, a fitness tracker that was beloved by users but had difficulties competing in the crowded fitness tracking market space. Before that, he built a math app called Quadratic Master for solving and learning quadratic equations, as well as worked on several client projects. "While developing apps and managing my own app business, I realized the huge importance of time. I often felt that I had almost no idea where the time went, and that I was not doing enough. I wanted to find out how I could become more productive, while preserving a healthy work-life balance and finding enough time for things like fitness and socializing. When I got the idea for an app that would feature an interactive timeline, it all somehow clicked. I ultimately decided to build a time tracker around that. 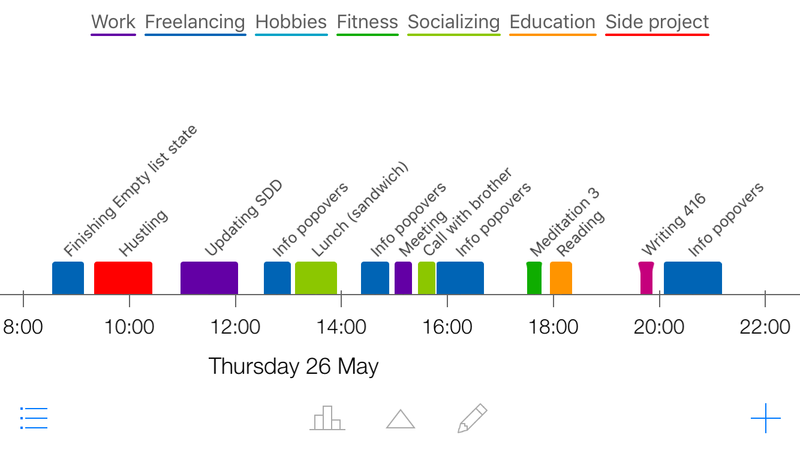 I’ve been using it to track my work and life for well over a year now, and it has provided me with truly interesting and sometimes surprising insights into how I spend my time. 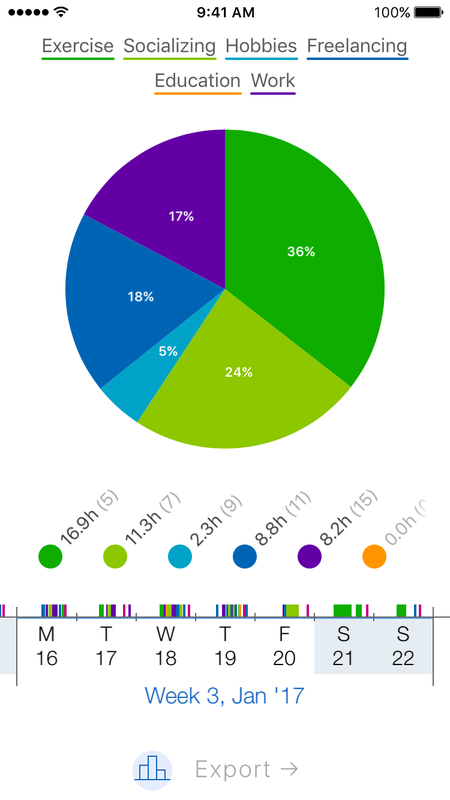 It has been a long process, but those insights are helping me to become more efficient and more balanced. I hope that Timelines can do the same for anyone who decides to give it a go." 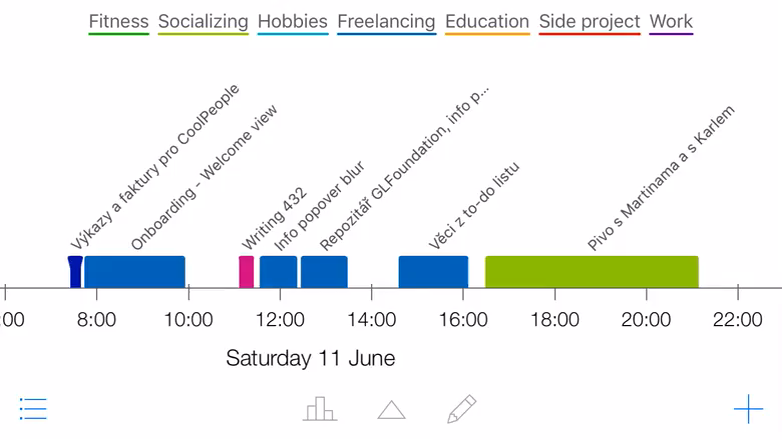 Lukas is currently busy working on Timelines 2.0, which will reimagine what Timelines can do as a personal time tracking tool. It will be able to track certain things, such as Health Workouts, without manual input. There will also be an iPad version, syncing, and a new interactive bar chart, as well as a ton of smaller refinements and improvements. While plans can sometimes change, this version is planned to be ready before summer of 2019.